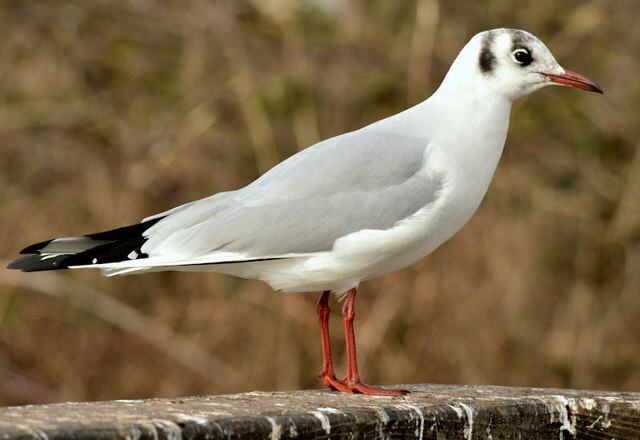 An adult black-headed gull on the fence at the car park. The black head is starting to appear. Note too, the bright red legs and beak. J4774 : Black-headed gull, Kiltonga, Newtownards - February 2015(2) shows what, I think, is the juvenile.